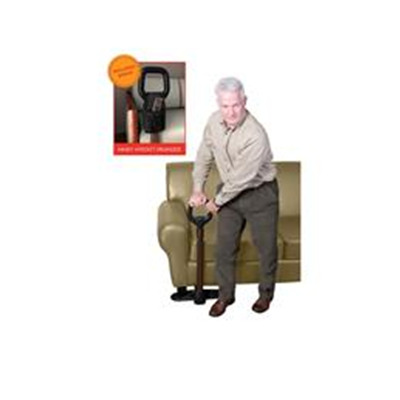 The Couch Cane is a simple couch-side handle that makes standing from your favorite couch or chair… Easy! And like all of our products, it blends in with your living-room (like another piece of furniture) to maintain the comforting feeling of your home. Height Adjustment Handle: 34" - 40"
Base Feet Measurements: 4" x 7"
Case of 3 Dimensions: 29" L x 19" W x 12" H: 60 lbs. Package Dimensions: 29" L x 19" W x 4" H: 19 lbs.